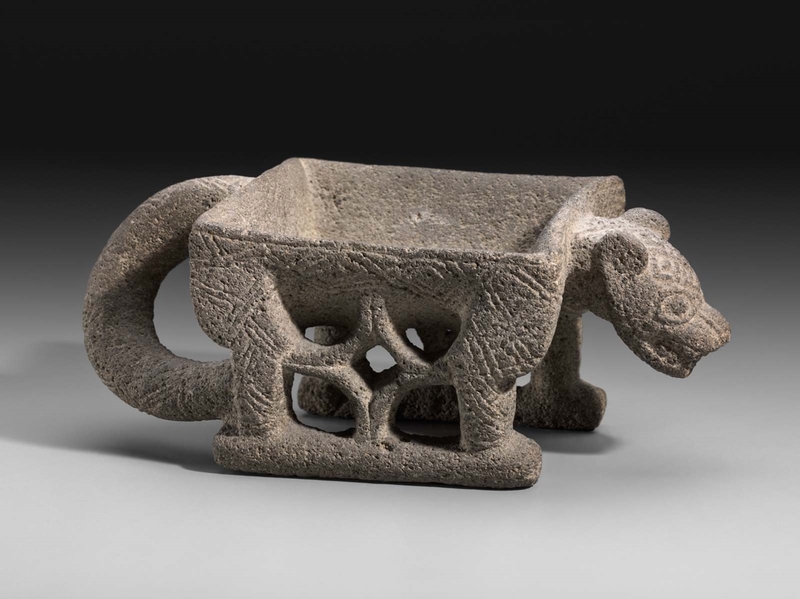 Small metate (grinding stone) in the form of a feline. The grinding bowl is relatively deep and square. The carved, interlocked diamond motifs on then exterior of the bowl/feline’s body may indicate the patterning of a jaguar.